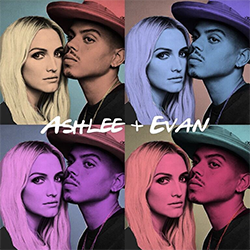 Second single of Ashlee & Evan : ‘Paris’ & New Interview! Hello again! Today (September 14), the second single of Ashlee and Evan, ‘Paris‘ has been released at midnight. Listen/buy it on all the streaming platforms here. The song is amazing, I really love Ashlee’s voice in it. She is incredible and Evan has a perfect voice! Yesterday (September 13), Ashlee and Evan gave an interview to ‘Good Day Live‘.